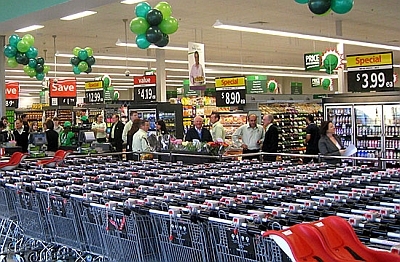 The Federal Court has ordered Woolworths to pay penalties totalling $9 million for contraventions of the Trade Practices Act 1974 (now called the Competition and Consumer Act 2010), following admissions made by Woolworths in proceedings brought by the Australian Competition and Consumer Commission. Woolworths admitted to being knowingly concerned in the making of, and giving effect to, an understanding between Colgate-Palmolive Pty Ltd (Colgate), PZ Cussons Australia Pty Ltd (Cussons) and Unilever Australia Limited (Unilever) that they would each cease supplying standard concentrate laundry detergents to Woolworths in early 2009 and supply only ultra concentrates to Woolworths from that time. Justice Jagot said in court: “The penalty reflects the objective seriousness of the contraventions. “By imposing these penalties, the Court has acknowledged that Woolworths was knowingly concerned in an anti-competitive understanding, which they admitted was reached between laundry detergent manufacturers,” ACCC chairman Rod Sims said. “This penalty is the largest the ACCC has obtained against a party that was an accessory to competition law breaches by being knowingly concerned in anticompetitive conduct. “This is a timely reminder that businesses must ensure that their competition law compliance programs educate their staff about the risks involved in communications or other conduct which facilitates an anti-competitive understanding between other businesses,” Mr Sims said. These penalty orders were based on admissions made by Woolworths, and joint submissions on penalty made by Woolworths and the ACCC. The Federal Court also made orders by consent that Woolworths update its trade practices compliance program and pay a contribution of $250,000 towards the ACCC’s costs in the proceedings. Cease supplying standard concentrate laundry detergents in the first quarter of 2009 and supply only ultra concentrates from that time. Simultaneously transition their laundry detergents to ultra concentrates that met certain requirements. On 28 April 2016, the Federal Court ordered that Colgate pay total penalties of $18 million for admitted contraventions of the Act, which included $12 million in penalties for making and giving effect to an understanding to limit the supply of laundry detergents. Colgate was also ordered to pay penalties of $6 million for making and giving effect to an understanding to share sensitive market information, including information about when they would increase their prices. Mr Ansell admitted to being knowingly concerned in this conduct and by consent was disqualified from managing corporations for seven years. The ACCC’s case against Cussons is listed for hearing at a later date. The ACCC is seeking pecuniary penalties, declarations, injunctions, compliance programs and costs.